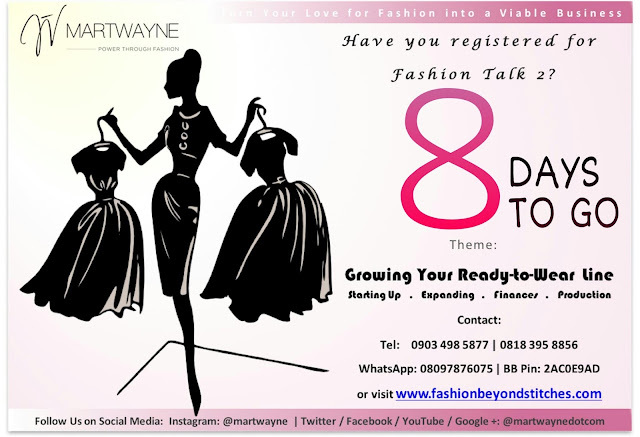 Martwayne | Power Through Fashion: Have you registered for Fashion Talk 2??? Have you registered for Fashion Talk 2??? If you have not registered, please do not procrastinate! Register as soon as you see this. If you have no clue what it is about, simply click on this link: It's time for Fashion Talk 2! We will be having a daily count down! Look out for it! Have a great month and look out for our other posts! Don't forget to follow us on Instagram: @martwayne.